If you have ever wanted to know how to quickly and masterfully create your own mega-dungeon for your pen-and-paper Fantasy Role-Playing Game (PNP FRPG) campaigns, this is the perfect book for you. This Game Master’s guide will show you, step by step, how to take your vague-yet-promising ideas and how to sculpt them with precise and careful design decisions (enhanced, if you prefer, by random die rolls), allowing you to conceive an endless mega-dungeon in record time. Best of all, the CASTLE OLDSKULL CLASSIC DUNGEON DESIGN GUIDE is also system-neutral. No matter which of the many FRPGs you choose to play, from basic skill level to advanced, a first edition or a fifth or anything in between, the lessons you master here will serve you in your gaming for years to come. Learn how to make the most of your ever-dwindling prep time, so that you can spend those saved hours gaming with your friends! * Hack and slash and beyond. 39 adventure scenarios, with 20 diabolical twists, totaling 780 great ideas for your next campaign. * A myriad of options. Over 10,000 unusual benefactors (“quest givers”), unusual wilderness encounters your players will never forget, and extensive rumor and dungeon history generation systems. * Every endless labyrinth ever, under one cover. Extensive details on realistic underworlds, hundreds of dungeon dressing ideas, over 10,000 room types, and much more. * The imagined made real. A complete second book is included herein as a detailed example of dungeon design, featuring over 30 pages of specific examples. The Goblin Head campaign environment supplement reveals exactly how a 13-level mega-dungeon can be conceived in a matter of hours. The CLASSIC DUNGEON DESIGN GUIDE is brought to you by Kent David Kelly of Wonderland Imprints, a role-player and Game Master with over 30 years of play experience. Best of all, if there are any other materials you would like to see relating to dungeon design, feel free to contact the author. Many more CASTLE OLDSKULL supplements are being prepared specifically to support the players, initiates and Game Masters of the Old School Revival (OSR). This Guide is your gateway to the realms of sword and sorcery. Join us for the adventure! Would it be too much to ask to release some of those as a bundle? This is probably the best dungeon design book I've ever read and looks decent on a tablet, but also the absolute worst for PDF navigation. The index is on page 10 (I really wish people would stop putting indexes after introductions), there are no bookmarks, and the document seems locked down so tight that I can't even add my own bookmarks with a reader or PDF editor. I think it's an issue with administrative rights. Any chance you can update the product to unlock the bookmarks? This also seems to be the case with Game World Generator. Hi there Emily, thanks for letting me know about the PDF experience ... I'm more of a Word and Kindle guy, but I will fiddle with the PDF features when I can to see if I can add Adobe bookmarks and free up administrator rights. That will be a free download upgrade when I can finagle it. 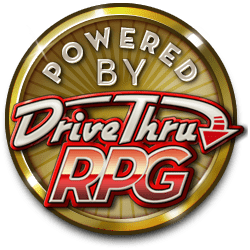 I'll send update e-mails via DriveThruRPG when the improved edition is available. Thanks much! I aggree that the layout needs updating. But aside from that I do have one "complaint". Other than the layout this is a work to be proud of Kent K.
Interesting and the material will certainly keep me occupied for a while, but the layout is horrible, the number of pages which has one line orphans is way too many to just being a oversigth. Snap it up, please!